To enable image stabilization, begin by navigating to the Camera Control tab. 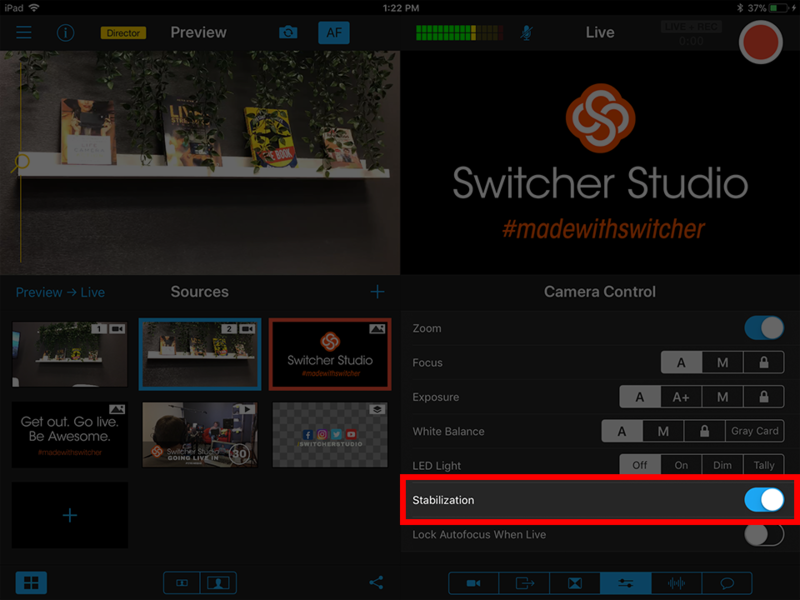 From here, at the bottom right, toggle the “Stabilization” Slider to the on position. 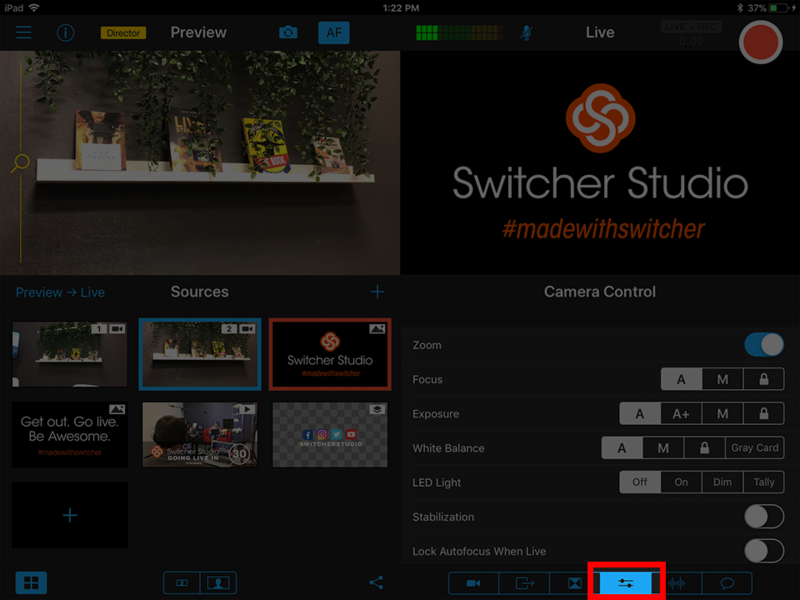 If all of your settings are greyed out, make sure you have a camera source selected in the preview or live window. NOTE: if you are using Image Stabilization, you will need to adjust the Wi-Fi Camera Communication to either “4K | Image Stabilization” or “Bad Wi-Fi”. Follow this article for help.